I have been Cardiff and Vale UHB’s Chair since 2012 and during my time have seen the arts programme here blossom. I am also the Chair of the health board’s Arts and Environment group and, with their support, have overseen amazing projects develop from ideas into realities, the likes of which can’t be found in any other health board such as the bespoke arts strategy for our adult mental health unit, Hafan y Coed and our unique Hearth Gallery. I welcome the mounting evidence that the arts are good for patient wellbeing outcomes as I understand that for many people, hospitals can seem quite intimidating. It is our duty to mitigate this feeling where we can by filling our environments with art, music and colour. From my experience within mental health nursing, I have seen first-hand the positive impact that art can have on people’s health and wellbeing. I was one of the leads in developing the Mental Health Services for Older People wards, the state-of-the-art mental health unit, Hafan y Coed, and the bespoke arts strategies that accompanied them. I was also instrumental in the development of the Hearth Gallery, a unique space for contemporary art, the first of its kind in Wales. I am now the Head of Arts and the Cardiff & Vale Health Charity so will be managing the development of the health board’s arts programme in order to improve our patients’ and staff’s lives with art. I come from a family of artists so have always had a passion for the arts, specifically literature and poetry. I left university with a Master’s Degree in English Literature and have since been looking for a way to take what was once just a hobby and make it part of my job. I’m incredibly excited to be working on the Cardiff and Vale UHB arts project and will have the task of raising the profile of the arts in healthcare settings, continuing to build the case for even more art to be offered to even more patients during their secondary care experience. 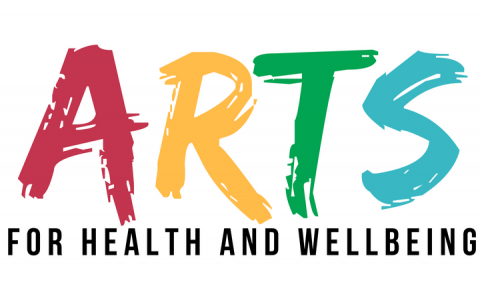 If you have any queries about this website, or the communication strategy that accompanies the health board’s arts project, please get in touch! I am a new addition to this team, but having grown up with an artist in my close family, and studying and working in Musical Theatre in the West End, I have a great passion for art and the positive impact it has on both mental and physical wellbeing. I have also been an inpatient in hospital for long periods of time and from personal experience, I appreciate the need for a positive environment to aid recovery within in the hospital setting. This is something we can continue to develop and grow within our hospitals and their surroundings. I am so pleased to work within this team, and to have the opportunity to help make a positive difference to the lives of our patients and their families.